Health consciousness can be put into three buckets; first includes those who workout as critical as breathing. Second, belongs to those who may sound like jack of all trades but master on none (most of us fall in this category), while the third includes those who wake up on the hospital bed after continuously ignoring their deteriorating health. Fitness wearables are apt for the people who fall in the second bucket, without pushing them into the first one. In layman’s term, fitness bands are like personal health trainers who will push you to do that last rep of every set in a particular exercise that you would prefer not do yourself. They are like the warning lights on your car dashboard that continuously track vital parts of your body, identify problematic areas and further set fitness goals to improve the same. A case in point is Pramoud Rao, Promoter and Managing Director of leading electronic security company, Zicom Group, who lost nearly 14 kg since last Thanksgiving Day when he bought the Fitbit Flex for US$100 during his trip to the US. The device tracks daily steps you take, distance covered, calories burned, your sleeping pattern (over slept or under slept) and its LEDs light up as you reach towards your daily fitness goal. “I have been a fitness freak since I was 42. 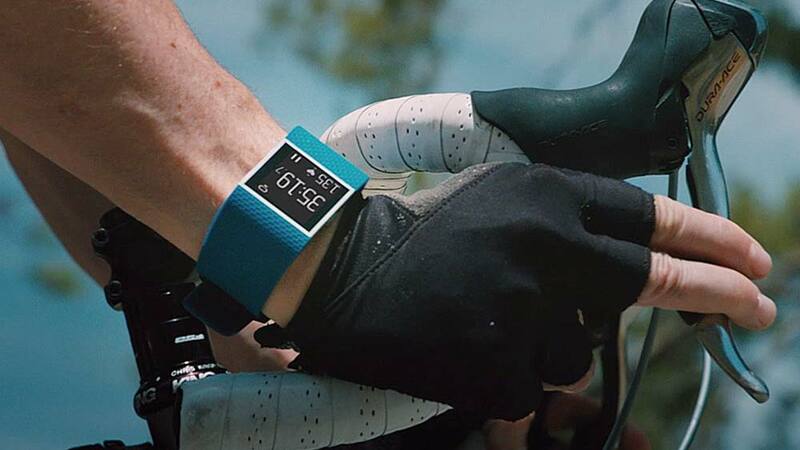 The purpose of using the Fitbit band is to monitor what I am doing on a daily basis; otherwise checking your BP or workout in the gym are only ways to check your fitness, which are quite ad hoc. But with this band, you don’t have to worry about all that because it calculates your weight loss, BP etc, and through that data, you can do your analysis to be fitter,” says Rao. The fact that one can measure his daily progress encouraged Rao to influence his core team members to use Fitbit. Sandeep Murthy, Partner at early-stage investor firm, Lightbox Ventures Management, has already tried his hand at couple of such bands. Using them since last two-three years, Murthy started with Fitbit but moved to Nike FuelBand and then returned to Fitbit (Fitbit Charge HR) because it monitors heart rate and also since FuelBand kept breaking. In between, Murthy also tried GOQii band. “Now at my office, I usually walk around over phone calls. If I am at an airport, I try to move around rather than finding a place to sit down. Initially, I wasn’t hitting the 10,000-step mark, but now I am meeting my targets as it has made me more health conscious,” says Murthy who lost 5 kg in three months. Similarly, Akshay Tandon, who runs Skarma, a design led creative agency is Murthy of sorts, trying different devices. He switched from Jawbone UP24 band to Fitbit and finally to the Apple Watch early last month. “I learnt that between 3 pm and 5 pm, I’m least active, and this changed my behavior to walk as much as I can. From 8k-9k steps, I’m now averaging around 12k-15k steps. So I just sit for 3-4 hours a day. The Apple Watch reminds me to stand in every 10 minutes if I am sitting,” says Tandon. One may try to put age as the logic behind using such devices. It might be a case, if not in literal sense for people who are in 50s or above. Fifty-seven-year old Rao certainly has age on his mind like everybody, but he wants to reverse ageing through use of such bands, and Sam Chopra, Founder and Chairman of Rs 100 crore Cybiz Corp, is now a little bit more careful about his health than he was before using Jawbone UP. Chopra turned 50 this year. “Initially, when I started using Jawbone, I walked only 150 steps, which means you are like a polar bear in hibernation. Now I do 7,000 steps every day and it doesn’t bother me. Whether you go to the gym or not is a different matter but at least it encourages you to try and meet your goals,” claims Chopra. Former competitive Squash player Sahil Vora, who run facility management company SILA and recently expanded it to home services space as Mr Homecare, also uses Jawbone UP not only to track the amount of calories burnt, but also his sleeping pattern. “It tells you how many hours of deep sleep you had at night, whether you are under slept or over slept and whether your body is well rested,” says Vora. Wearable healthcare is well on its way to become a sunrise industry in India with a handful start-ups already jumping into the fray to tap the enormous market. “Right now, it is just a start and will improve over the time giving a sense of how it could be useful,” concludes Murthy. Significantly, as per the PR newswire's latest findings, the Global wearable sensors market is expected to increase to US$299.46 million by 2018 at a CAGR of 45.08 per cent over the period 2014-2020. Wearable sensors are embedded in wearable devices to monitor bodily activities which include blood pressure, body temperature and heart rate, which is driving the healthcare industry as it enables remote data access. The market is driven due to the rising awareness of health and fitness, where wearable sensors play a vital role.